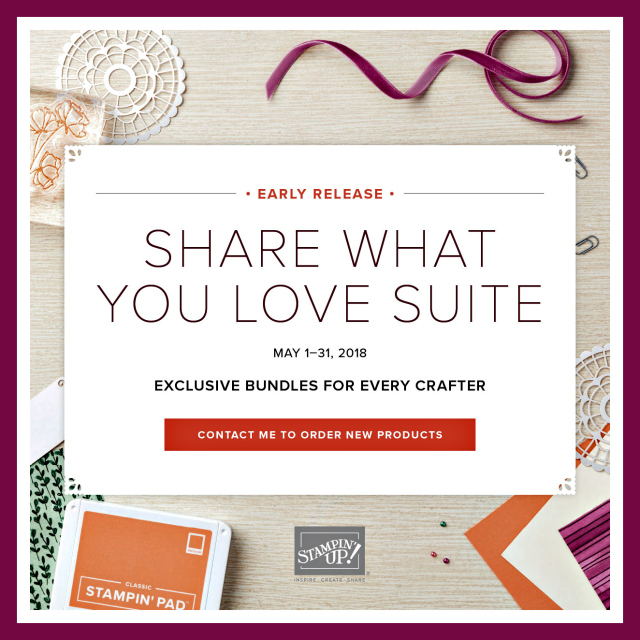 The Share What You Love Suite Early Release has 3 bundles to choose from and I've pictured them all below, a Just Getting Started Bundle, A Little More, Please Bundle and the Gotta Have it All Bundle. 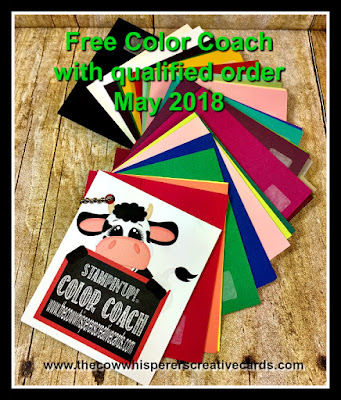 Last but by no means least you can also purchase the brand new 2018-2020 In Color Collection of Inks. 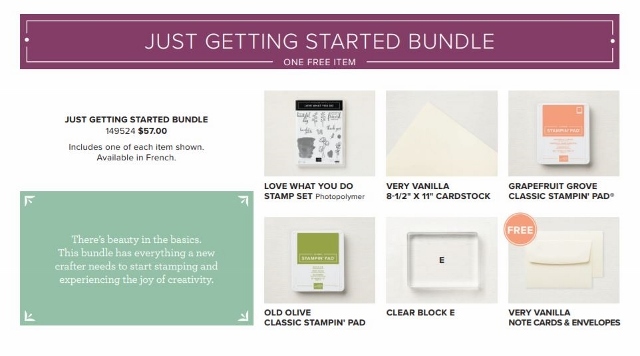 Remember Bundles are a great way to save money and get some freebies too. 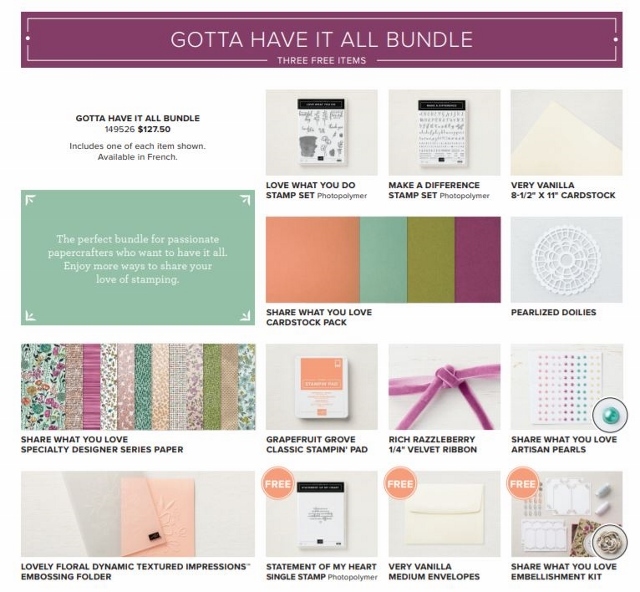 Before you get into the available bundles, I wanted to show you a few adorable cards created with this suite. If you would like to print out the promotional flyer simply CLICK HERE. As you can see, any of the above 3 bundles or the New In Color Collection qualifies you for my May Customer Appreciation Color Coach when you place your order using the Hostess Code Below. 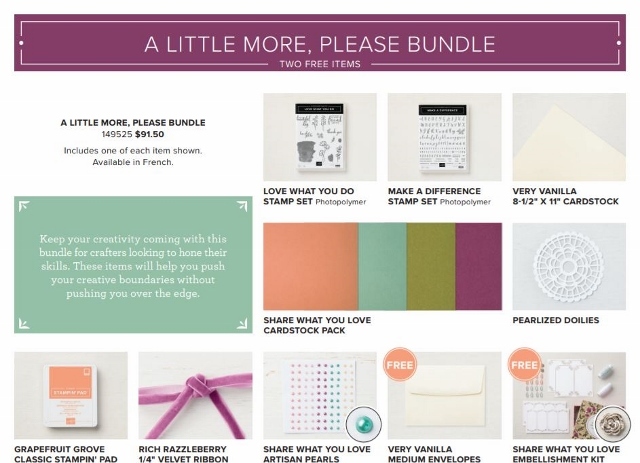 I know you guys are anxious to get these goodies in your hands so now is the time. HAPPY CRAFTING!! !